Across the country, one in four students is Latino—a remarkable figure slated to rise to one in three by the year 2023. Despite currently comprising a quarter of all students, however, Latinos make up 75 percent of all English Learners (ELs). Geographically, these students are overwhelmingly concentrated in traditional settlement states throughout the southwest and northeast, but their numbers are rising in southern states. This burgeoning Latino EL population in new geographical areas has prompted unfamiliar challenges for educators who are encountering Latino ELs for the first time. Outside of the classroom, local communities are also struggling to incorporate new immigrant populations. In some cases, community members, especially those from rural areas that have little or no experience with Latinos, struggle with fears that can ultimately lead to the mistreatment and discrimination of newcomers. Further complicating the integration of Latino ELs is the makeup of the educator population. Throughout the country, educators remain overwhelmingly white and monolingual. These issues raise important questions about whether teachers in the South are prepared to work with the influx of linguistically and culturally diverse students. These questions have spurred research on teacher dispositions and competencies in relation to Latino ELs. To date, research suggests teacher preparation is overwhelmingly lacking when it comes to building the competencies relevant to working with EL students. Additionally, some educators have been found to harbor negative perceptions of their Latino students. A new study recently published in Teaching and Teacher Education by Paula J. Mellom, Rolf Straubhaar, Carissa Balderas, Michael Ariail and Pedro R. Portes bolsters these findings. The authors analyzed the logs of 147 teachers working in elementary schools across North Georgia and uncovered varied opinions about Latino ELs and their home language. The study details the range of teachers' self-reported attitudes over the span of one school year, which ranged from asset-based attitudes toward students and their home language to deficit-based attitudes of students and prohibitory behavior toward their home language. One teacher, for example, noted that they restricted the use of the home language in the classroom: “They use English at school and home language at home unless told otherwise.” In another case, a teacher conflated the Spanish language with crime and low levels of education: “Spanish [is] spoken in all the homes, parents have low literacy, [and] violence/drugs/crime [are] prevalent in the community.” These deficit-based attitudes toward students and the prohibition of home languages are alarming for several reasons. First, research suggests that students’ use of home language can be an effective scaffolding tool for second language acquisition. Second, studies also show that harboring deficit-based beliefs about students can negatively affect student motivation and achievement. Fortunately, Mellom and her colleagues did more than simply investigate teacher attitudes towards EL students: the crux of their study was an examination of how professional development and coaching could improve teacher competencies and mitigate negative beliefs about Latino EL students. The researchers randomly assigned half of the 147 teacher participants to receive two years worth of coaching and professional development relevant to “Instructional Conversation (IC) pedagogy”—an approach intended to promote teacher-student collaboration, connections between home and school, complex thinking, and opportunities for student talk. By chance, only teachers assigned to receive the IC pedagogy training expressed overtly negative dispositions at the start of the study. However, when asked how their practice had changed over the course of a year, teachers who underwent professional development and coaching noted more positive interactions with their students and an increased acceptance of students’ home language. Additionally, only teachers who underwent the training recorded an increase in their use of student talk—a strategy that supports student learning. These findings do come with some caveats, including a small sample size that limits the study’s generalizability to other settings. The study also did not control for teachers' previous experience with ELs or culturally responsive training, so it is unknown whether educators’ reflections were directly affected by the Instructional Conversation pedagogy or were a result of their own past experience. The researchers also acknowledge that it still remains to be seen if the intervention will have a long-term impact on teacher attitudes. Nonetheless, this work is promising because it exposes real, concerning teacher biases and proposes a way to mitigate them. 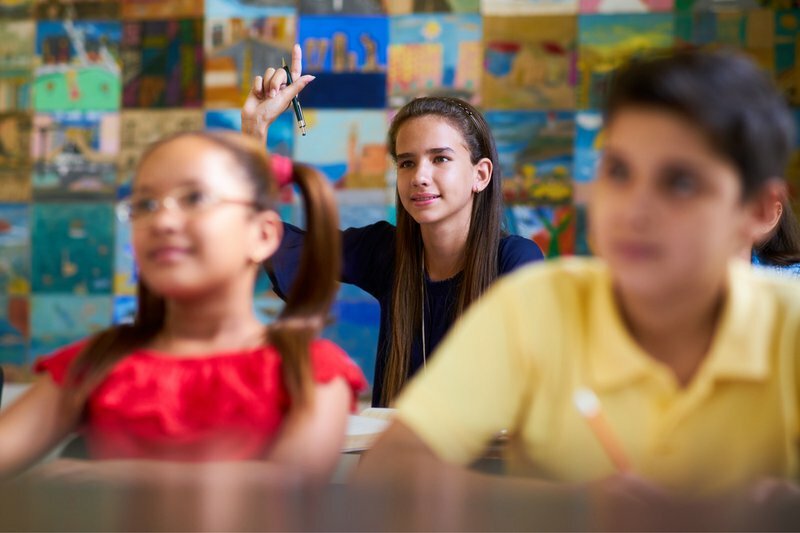 Identifying the kinds of professional development that can successfully yield teacher cultural competence and asset-based dispositions toward Latino ELs is an important first step. A second and equally difficult step is ensuring educators who work in areas experiencing influxes of Latino ELs receive targeted—and timely—training. These actions are of critical importance because ultimately how a teacher views their students—through a deficit or asset lens—can help determine a student's success in the classroom.